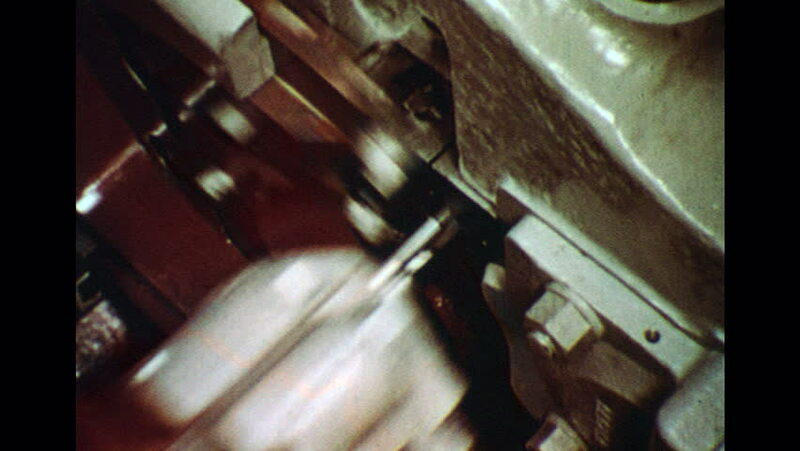 UNITED STATES 1960s: Machine making rivets. Machine speeds up. Zoom in, close up of rivets being formed. 4k00:15An abandoned decaying cabin sits in a overgrown forest in rural Nevada. hd00:21UNITED STATES 1950s : Newspapers, hot off the printing press, are checked by the press man before they are delivered to newsstands and counters.